Feminine but edgy two-tone shield gold and black shield necklace. 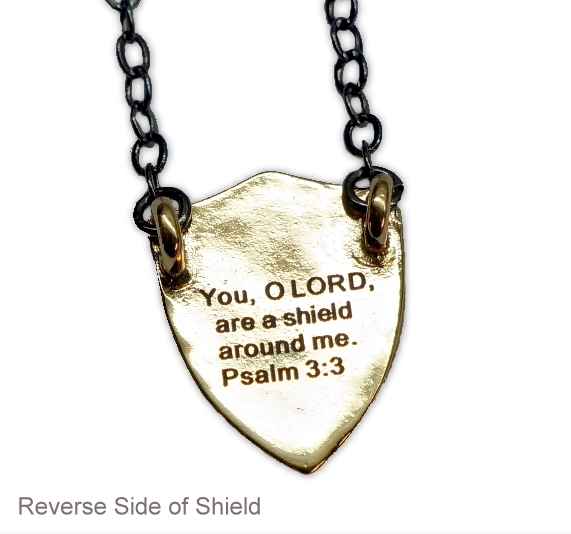 This beautiful necklace was created to encourage women and remind them that GOD IS TRULY FAITHFUL! 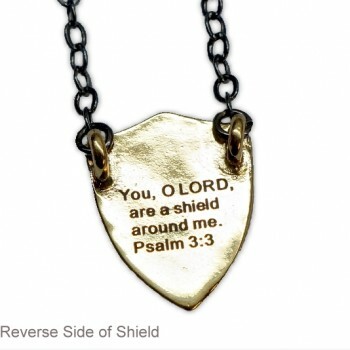 On the reverse is engraved…. You are loved and protected through faith in Him! 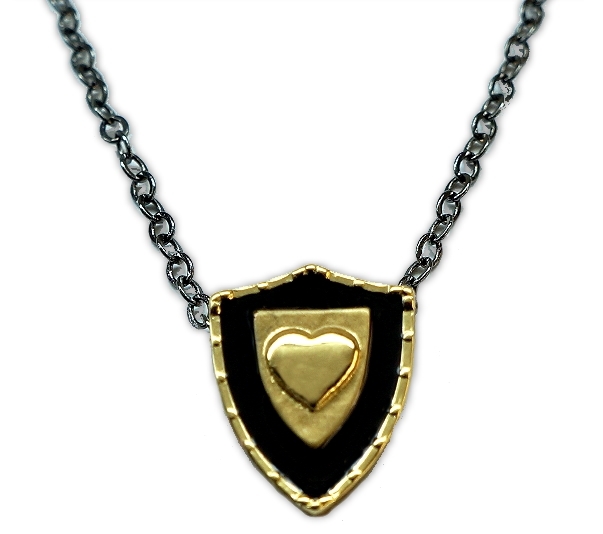 The riveted edge of the shield and heart center are a shiny gold plating and the center around the shield is a matte gold plated finish. The black on the shield is enamel. The chain is 16″ gunmetal with a 2″ extender chain which can extend the length to 18″. The pendant measures .83 inches high by .65 inches in wide.